During the summer of 2013, there was a debate about whether the Rhode Island Constitution required the referendum to convene a constitutional convention to be placed on the 2014 or 2016 ballot. 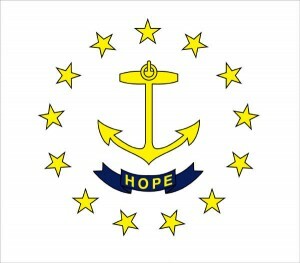 Some argued that if Rhode Island’s General Assembly hadn’t passed a resolution to place the referendum on the ballot, then Rhode Island’s Secretary of State would place the referendum on the ballot in 2016. Initially, the Secretary of State agreed with the year 2016 argument. But after looking at the legal research provided by Matt Schweich, he changed his position. The legal research and press articles are provided below in chronological order. Much thanks to Mr. Schweich for providing this information to RhodeIslandConCon.info. Memorandum from Matt Schweich to Secretary of State A. Ralph Mollis, Why the constitutional convention question must appear on the 2014 ballot, May 21, 2013. Nesi, Ted, Mollis: Vote on constitutional convention can wait until 2016, WPRI.com, August 6, 2013. Edgar, Randal, Mollis says he’ll put constitutional convention question on ballot if legislature doesn’t, Providence Journal, August 7, 2013.